This is the first in a series of posts, the purpose of which is to bring to readers’ attention the work of Paul Vitz (1). I hope that these will be an important contribution to the debate between religion and atheism, especially for those unfamiliar with his work. It is also a follow-up to my recent articles The Decline of Humanism, and The ‘Enlightenment’ — Where It Has Taken Us. 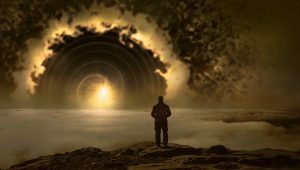 My overall theme has been the modern trend towards atheism, and in the second of these articles I suggested that the prominent atheist intellectuals mentioned would benefit from psychotherapy in order to explore the source of their obvious severe depression. Vitz offers that therapy, although it was of course never asked for. He is an American Psychology Professor who has written two books relevant to my theme: Sigmund Freud’s Christian Unconscious (2) and Faith of the Fatherless, the Psychology of Atheism (3). They were published in 1988 and 1999, but it will suit my purposes to consider them in reverse order, since the second one deals in general terms with the issue. The first is a biography of Freud and a detailed critique of his atheism, which will be considered separately. 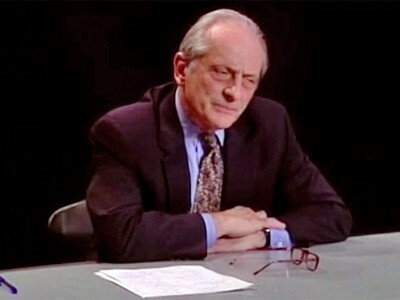 In his preface Vitz notes that the presumption of atheism has become typical of modern life, and that this has been a very recent development: “Atheism… has been a central assumption of many modern ideologies and intellectual movements — communism, socialism, much of modern philosophy, most of contemporary psychology, and materialistic science” (Pxiii). “In particular, there seems to be a widespread assumption, throughout much of our intellectual community, that belief in God is based on all kinds of irrational, immature needs and wishes, whereas atheism or skepticism flows from a rational, grown-up, no-nonsense view of things as they really are” (Pxiv). 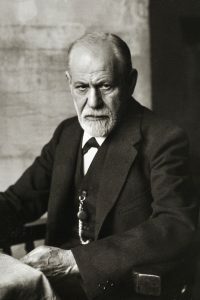 Sigmund Freud is the best-known name associated with this theory. Vitz’s aim is to challenge the psychology of this viewpoint, pointing out that this same approach can also “be used to explain their unbelief” (p4). He develops what he calls the Defective Father Hypothesis. He notes that “Christianity is in many respects distinctive in its emphasis on God as a loving Father” (his italics, p7), and goes on to explain that those he calls intense atheists, especially those hostile to Christianity, have all suffered disappointment in their own fathers which unconsciously justifies their rejection of God. other reasons for resentment or extreme disappointment, for example abandonment, abusive behaviour, inadequacy etc. He focuses on philosophers and cites as examples of those fitting the first two categories: Nietzsche, David Hume, Bertrand Russell, Jean-Paul Sartre, Albert Camus, and Arthur Schopenhauer. As examples of those who had weak or abusive fathers, he mentions a further nine males, including Freud. He concludes: “Looking back at our thirteen major historical rejectors of a personal God, we find a weak, dead, or abusive father in every case” (p57). He then goes on to look at the childhoods of well-known believers from the same historical periods. He provides 21 examples who he says “make a very representative list of the prominent defenders of belief in God. These are many of the major theists from the seventeenth to the twentieth century”. Apart from one where biographical information is limited, the “list is one of clearly positive father-son relationships — or of good father-substitute-and-son relationships”. “There is only one case of serious estrangement, Kierkegaard’s, which was resolved in a way that provides direct support for the present hypothesis. Kierkegaard’s reconciliation with his father led the great Danish thinker to express an understanding of how the father complex is related to belief in God” (pp92–93). My own understanding of this phenomenon is as follows. The persons in question have experienced great pain, anger and frustration in relation to their fathers. 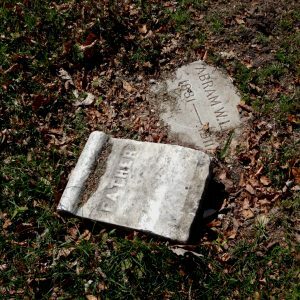 This happens at a time in their lives when they, as young children, are completely powerless to do anything about it. These painful feelings remain but are suppressed, and in later life are displaced, redirected, and hit the wrong target (God the father-figure), in order to avoid having to face the pain of having been rejected. This whole process takes place in the unconscious. Vitz believes that there are psychological differences between men and women on this issue. Because “for men, God seems to function primarily as a principle of justice and order in the world… we would expect… that men who become atheists will find a new absolute principle with which to order the world. Thus, we expect male atheists to be quite explicitly atheistic and to have a new ‘divinity’ that takes the intellectual place of God. As a consequence, atheistic men should be intense believers in such alternative principles as reason, science, progress, humanism, socialism, communism, or existentialism”. Vitz provides his own examples, but there are better ones which have emerged since he wrote. How about the Richard Dawkins Foundation for Reason and Science, or this recent book by Steven Pinker, Enlightenment Now: The Case for Reason, Science, Humanism, and Progress? This is almost a direct quote from Vitz, who also says: “Many atheists today are well known as believers in science: they treat science as a worldview or personal philosophy, not just as an important methodology and type of knowledge” (p110). Thus science has become for some a religion, in which they have faith at least as strong, and sometimes irrational, as believers in the various religions. This attitude is called scientism. I said at the conclusion of a recent article: “ Humanism now means something like, in the absence of God humans taking centre stage, elevating humans to the status of gods, without having to take into account any higher powers”. Vitz says something similar: “Modern atheism has attempted to accomplish this (displace the father). Man, not God, is now the consciously specified ultimate source of goodness and power in the universe. Humanistic philosophies glorify him and his ‘potential’ in much the same way religion glorifies the Creator. … Man, through his narcissism and Oedipal wishes, has seated himself on the throne of God. Thanks to Freud, we may more easily understand the deeply illusory and thoroughly neurotic Oedipal psychology of unbelief” (p14). None of this, I hope it is clear, has anything to do with the question of whether God actually exists or not. It is merely interesting to note that the explanation for intense, vehement atheism seems to lie in the personal unconscious of those concerned. I am left wondering why atheism and its close relatives — existentialism, communism, materialistic science — have been so seductive, despite their many obvious flaws. Is it because the public have the same psychological issues as the influential figures they are so easily persuaded by? (1) I first became aware of him through an excellent article on Medium, with the same title as mine, by Andrés Ruiz, who was himself referring to the subtitle of one of Vitz’s books.